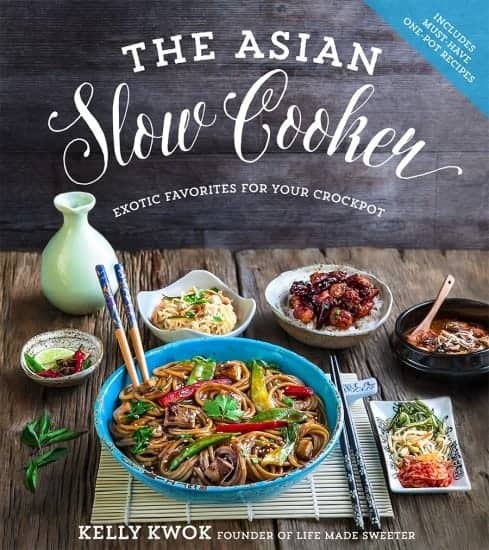 The Asian Slow Cooker was released on November 8th and is now officially available for sale. 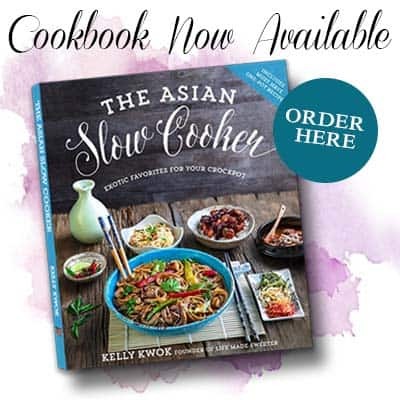 It was included in the Top 5 HOT NEW RELEASE on Amazon in Cookbooks for Slow Cooker Recipes and was named one of the BEST Books of 2016 by The Washington Post with Ina Garten and Donna Hay. Amazon, Barnes and Noble, Books- A- Million, Indie Bound, Indigo and wherever books are sold. There are even recipes that have 5 ingredients or less. Extra long day? Kelly’s fuss-free one-pot and skillet recipes will have dinner on the table in 30 minutes or less―and with only one pan to wash, cleanup will be a breeze. 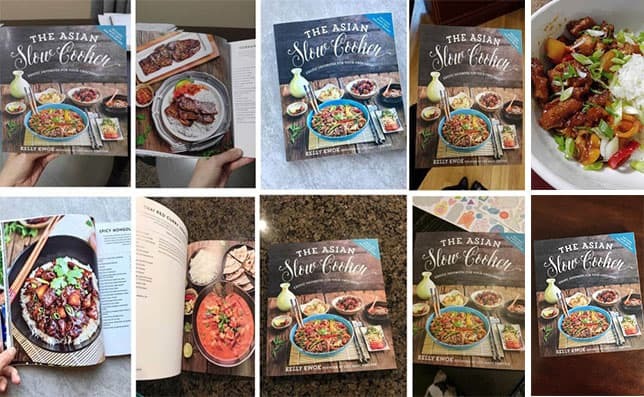 I also feel so extremely blessed to have some of my friends celebrating right along with me so I thought it would be fun to share all of the recipes that they made so you guys can see how talented each of them are. So please visit my friends and say hello! 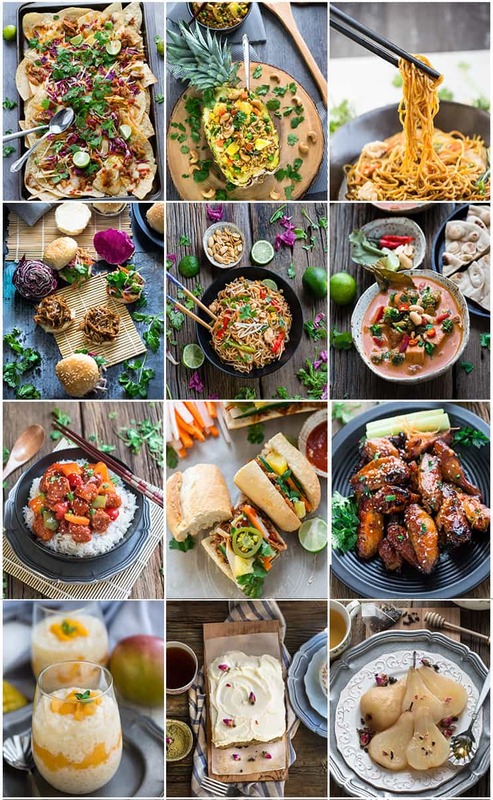 There are 80 recipes (95% of them are brand-new never been seen on the blog) that can be made either in the SLOW COOKER or just ONE POT with step-by step instructions and full color photos for every single recipe. — so you’re prepared to cook the recipes! Ditch The Takeout – Chicken Lo Mein, General Tso’s Chicken and Beef & Broccoli. 5 Ingredients or Less – Chinese Five-Spice Pork Tenderloin, Sriracha Chicken Chili Wings (pictured above) and Thai Pumpkin Curry Soup. One Pot & Skillet Meals – Pad Thai Noodles with Chicken (pictured above), Teriyaki Honey Shrimp Soba Noodle Bowls and Pineapple Cashew Chicken Fried Rice (pictured above). Skip the Stovetop – Bánh Mì Sandwiches (pictured above), Hoisin Chili Chicken Tacos, Honey Garlic Chicken Sliders (pictured above) and Mango Asian Turkey Wraps. Fiery Favorites – Chili Hoisin Glazed Meatballs, Firecracker Chicken Nachos (pictured above) and Szechuan Beef. Meatless Mondays – General Tso’s Brussels Sprouts and Sweet Potatoes, Mango Sesame Lentil Lettuce Wraps and Teriyaki Pineapple Portobello Burgers. To my readers: Your support means the world to me. Thank you so much. I am so incredibly honored to have been given this amazing opportunity, and I truly appreciate every one of you.